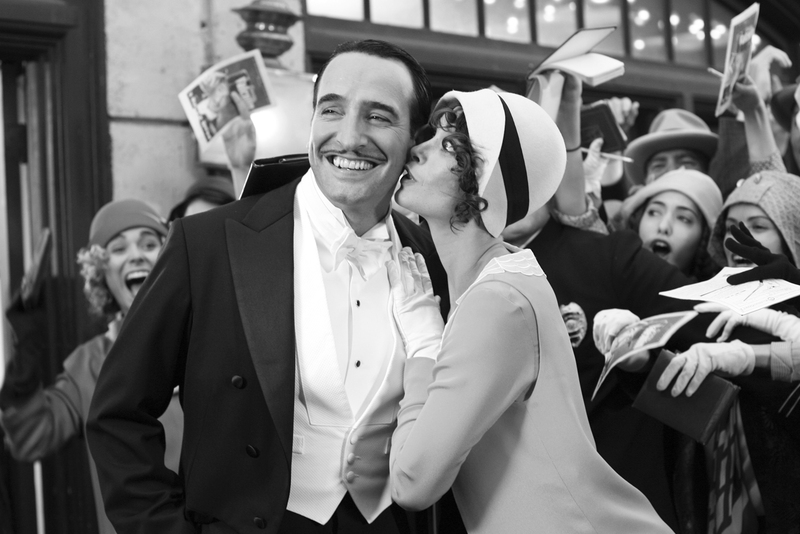 The Artist is a film written and directed by French filmmaker Michel Hazanavicius. It premiered in competition at the 2011 Cannes Film Festival where Jean Dujardin won the award for Best Actor. It has also swept up a large number of prominent awards and is currently up for 10 Academy Awards and 10 César Awards in it's home country of France. At this point, pretty much everyone, and by everyone I mean all the blogs I follow, has seen and reviewed this film that has somehow taken the world by storm. Maybe it was because of all the non-stop hype around it since last May courtesy of the Weinstein marketing machine, or the plethora of glowing reviews popping up almost daily, but I went into the screening room with nearly impossible expectations, and came out of it pleased, but far from bowled over. To its credit, the acting was sensational. Jean Dujardin lights up the screen with his presence, he possesses the perfect comedic expressiveness for the role, it's like he was born to play it, and he clearly loves every minute of it. Bérénice Bejo is also impressive in her own way, maybe not quite as stirring or as immortally alluring as I'd picture a starlet from the 1920's or 30's to be, but still very capable and enchanting. Then of course there's Uggie, the adorable scene stealing Jack Russell terrier. Breeders around the world must be having a field day on the strength of his performance and that of Cosmo from Beginners this year. It also looks fantastic. 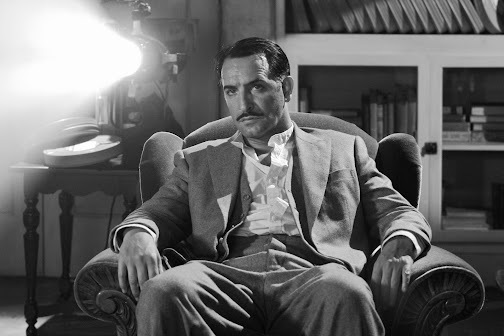 The academy ratio black and white cinematography is sharp and striking, almost too good to resemble anything from that era, but that's a plus. Ludovic Bource's score is a great fit as well, and his cribbing of Bernard Herrmann's love theme from Vertigo has sparked some degree of outrage and an even greater amount of hilariousness. What failed to convince me here was the story. I was hoping for something refreshing and groundbreaking, something special and worthy of all those accolades. Yet however enjoyable it was, The Artist really boiled down to being just another reasonable facsimile of the same old maudlin tale I've seen on TV every Sunday afternoon since I can remember. Basically the only thing it has going for it is the novelty factor, and that's fine but novelties don't last. Yes it's a skillfully crafted, touching homage and throwback to glory days gone by, absolutely. I'll even say it's a delightfully entertaining cinematic experience well worth enduring the dismally inconsiderate—I'm talking to you the distinguished gentleman sitting a row ahead of me boorishly yawning and snoring the whole time—multiplex crowds to see. However, 'Best Picture of 2011' is frankly too far of a stretch for me to make. I hear you about not being in a hurry. But I also don't think there are so many other films to rush out and see right now. Well, now you guys have convinced me to watch it ASAP. I agree with Jason about Tinker Tailor - that is one of the best films I've seen on the big screen for years. What a coincidence, I was just writing about The Artist today on my blog for my 2012 oscar predictions. I agree that the story is not as strong as the acting, technical aspects.Clever marketing, taking the old and making it new again. Thanks Chip. I'm actually surprised how many of you agree with me, I'm glad I'm not alone on this one. Good point about how expectations affect a movie's impact. I've found that to definitely be the case with me. While I did love The Artist, there have been other highly acclaimed films that it took me a long time to see, and when I did I had a "That's it?" feeling afterwards. loved you review,Bonjour. Very balanced. Haven't seen the film, but usually when everybody is ranting about it, for me it doesn't sound good. I and I believe the Academy will go with 'Midnight In Paris'. Woody Allen's work is tried, true and safe. Yeah there were many other deserving films from the past year. But I think those others never had a chance given the age and demographics of the Academy. Thanks Margaret. I can totally understand why you love it, and it won't disappoint me if it wins a slew of Oscars. As am I. Well for a film blogger anyway. I've hardly seen any of the Oscar favorites. I would love the chance to see a silent with the music performed live. Even this one. What would you choose for best picture this year? Films are always better seen in large scale in a darkened room. But no, I highly doubt you're going to be kicking yourself a few years from now if you pass this one up. Yeah it is surely a good thing that it calls attention to that era of films. I hope more people do check them out as a result of The Artist's success. Thanks for commenting Andina. Ah yes, the lesser of the evils. Thanks Dan. I'm glad you agree with me. I have only seen half of the candidate films, and from what's there I do think this has a good chance of winning it. Thanks for the comment FilmMasterT. Thanks NTE, Seriously that guy was either the biggest a-hole in the world, or accidentally wandered out of the mental ward. Thanks Christine, you are right about this not having a distinct personal style. Refn did the same thing paying multiple homages in Drive, yet he was able to make that film his, and Bejo is definitely missing a je ne sais quoi, to elevate her as an equal. Looking at the other contenders though, I'm not going to be upset if it wins. you know, I've read the reviews, heard the hype/word of mouth and yes I'm almost certain it's a great movie and one that I'll enjoy....but nothing about this film screams "go see this in the theater ASAP" and that's my problem. There's so many other films I'd rather see over this one although I'm positive I'll get around to watching one say....at home. 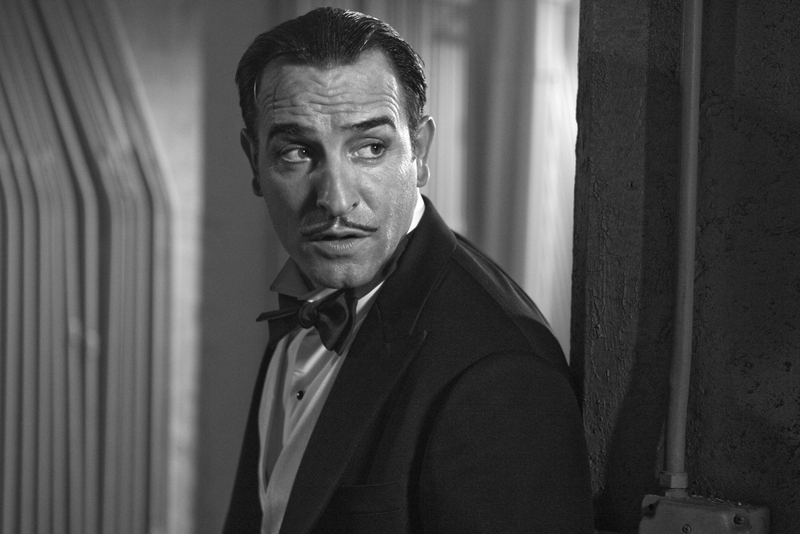 Dujardin is an absolutely brilliant comedic actor. He captures the spirit of the old school matinee idols like Fairbanks. Although the story is simple it reflects the simplicity of some of the best films from that time period. That said I'm coming around to your opinion, Bonjour. 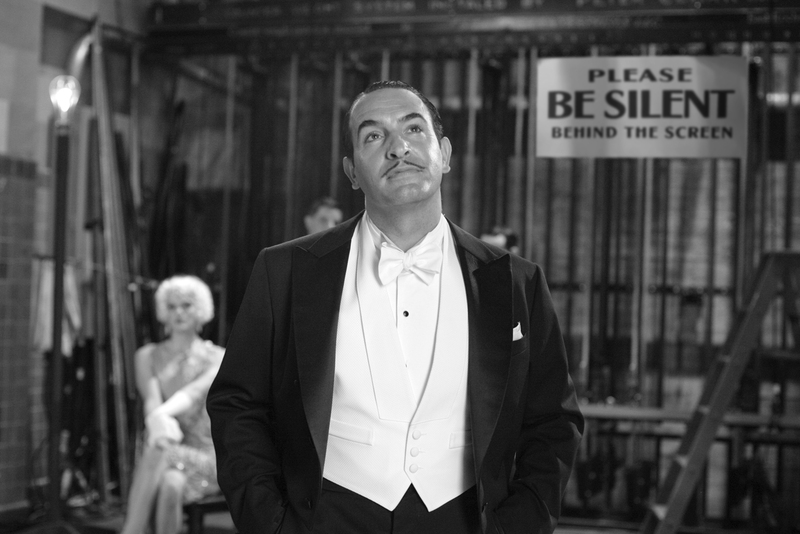 The more time that elapses from when I first watched The Artist the more convinced I become that Drive, Shame and Tinker, Tailor deserve that accolade more. I'm in love with the film, so for me it's an absolute number 1 :) Great review and I'm glad to read all the kind words for the actors, they did such an amazing job in the film. Yeah. I have to see this one. I'm a bit far behind on the popular modern movies. Excellent choice and a solid, well executed critique! 'The Artist' absolutely screamed for a live orchestra when I saw it last month at a rather up scale theater outside D.C. 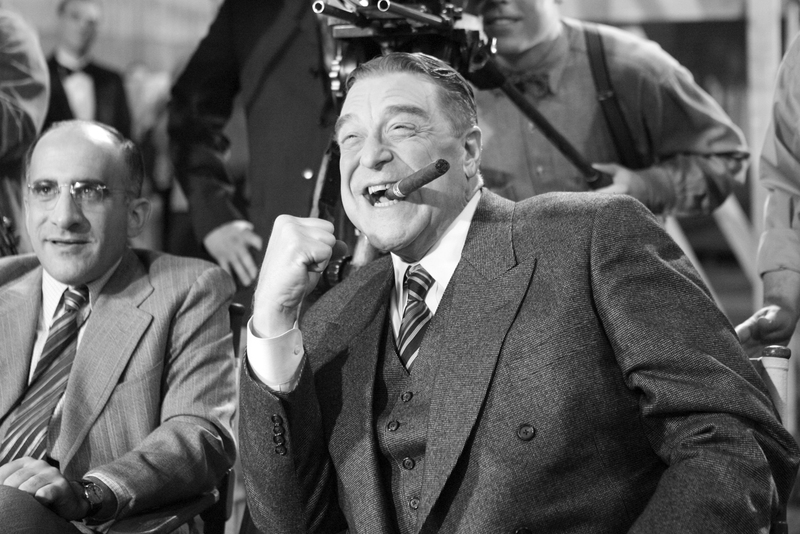 The film employs many tricks and sleights of hand when presenting a story that has been done countless times before. 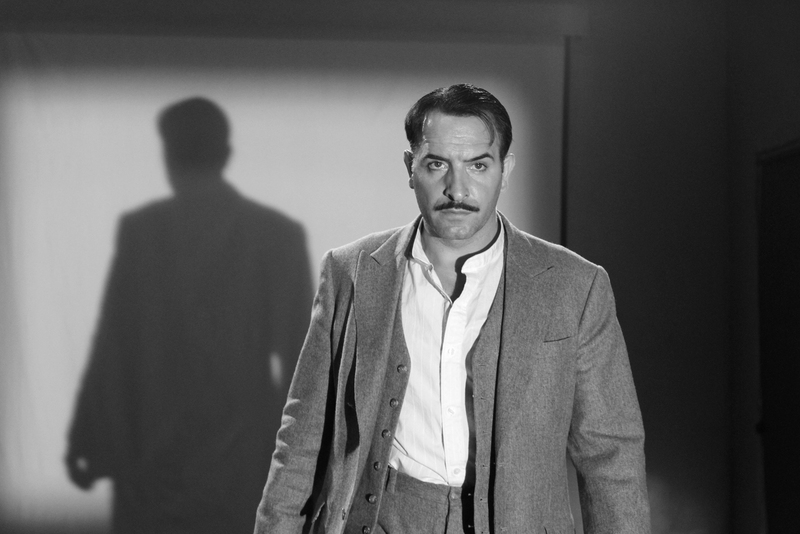 The B&W cinematography is lush in the extreme and its use of shadows and reflections, superb. The cast, from top to bottom delivers in a great film, but does all this make the film worthy of a Best Picture Oscar? It'll be close, but I'm saying 'No'. I'd prefer to leave it for a couple of years till the hype dies down. Or do you think that would be a tragic mistake and it must be seen on the big screen? I guess the story isn't the most spectacular I've seen, but it makes us (the one who didn't know much about silence films) notice the era, and I guess I was impressed on the idea of making silence films during the era of 3D movies. But thanks for sharing this! Greatly justified review, but I really hope this wins best picture. If not this, then Midnight in Paris. It is not much of a big original story, but it has enough charm, wit and humour that it is hard not to love. Again, great review, I can definitely see what you mean to an extent. I completely understand what you mean about the hype. I liked it a lot, but do think that the novelty factor is a big piece. I actually found myself worried during the first few minutes, because people just seemed TOO excited about it, but I actually liked it better after the "hammy" first section ended and it got a little more complex (although not a lot more complex, of course). Interesting that you mentioned the crowd. When I saw it, I don't remember people yawning, but I did notice that people felt free to talk a lot more than they usually do. Maybe it has something to do with the fact that they aren't listening to the dialogue? Still, I am glad that I saw it fairly early when it was people who really wanted to see it, rather than the crowds who I assume are now going just because of the awards. They may have been louder than I liked, but at least it was an excited sound rather than the yawns. 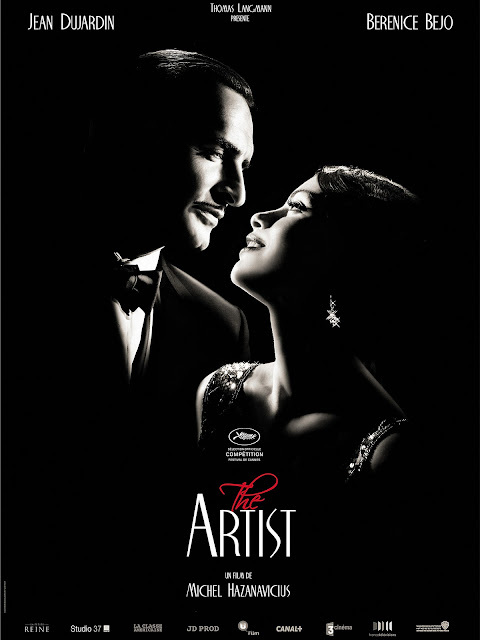 i enjoyed it and thoroughly liked the revisiting of the techniques and skills involved in silent films... but maybe I've just been pampered by talkies becasue I really missed the dialogue. As you say a great film but not the best of 2011. Exactly. Years from now people will still be discussing The Tree of Life, but nobody will care about The Artist. I adore this movie, though agree with your reservations to an extent. Based on the director's other comedies, I'd say he's not the type to scream "ultra original auteur" who leaves a flagrant stamp on everything. It's compounded further, by his career of mostly copping older genres and having a ball with them (taking a piss out of spy genres, Hollywood icons /well known plots in his La Classe Americaine spoof.) He still qualifies as some sort of auteur like William Wyler ('-lite' maybe, if the idea is offensive:P) though, with a keen touch on the human interactions & their treatment (lots of slow burn which takes guts, even when he's doing broad comedy; this fallen idol isn't a grotesque sideshow like Norma Desmond, is kinda "French bourgeois" take on fatal male flaws not as extreme as Star is Born or light as Singin' in the Rain.) So normally his quirky popcorn films (or Dujardin's work) would not even deserve "world/art-saving, significant" company of Oscar screeners. This time I guess, naive love, hope and dreaming of some collective past won over enough. Thanks for stopping by Ed. Even though I didn't fall in love with The Artist, I am glad that a movie like this can come out of nowhere and take the world by storm.